Good morning eP fans. 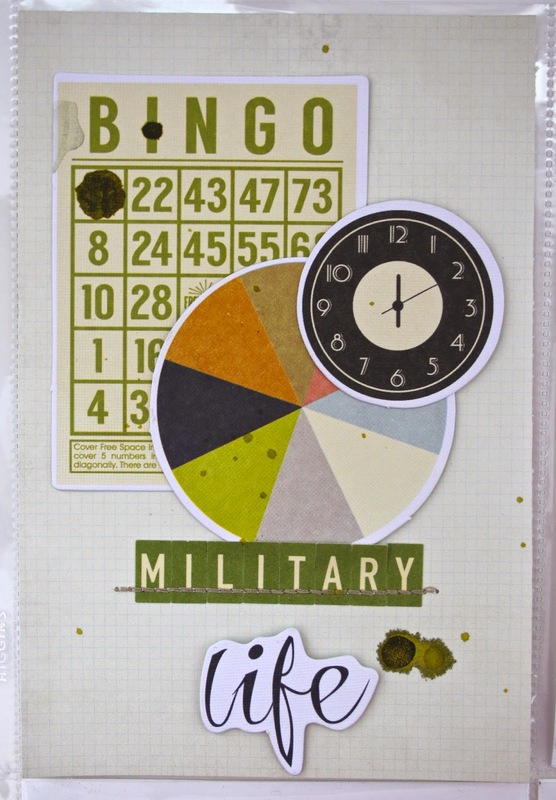 Today I (Mary-Ann) am sharing with you a simple project life style layout. Sometimes keeping it simple in my world is just what the doctor ordered. With my husband spending 21 years in the USMC, we are pretty obsessed with anything remotely connected to the military. Whether it be nerf guns, army men, history or books about war, you can be assured that the boys in my family are interested. This layout depicts how my breakfast table could look like on any given day. I just created this layout but the pictures are from 2011. Keep in mind, that I could duplicate this exact same layout with the exact same pictures with a kid that is just a tad older now! I really enjoyed taking a larger photo and chopping it up to fill 4 of the pockets for project life. This army man photo works perfectly because you don't have to worry about cutting a persons face down the center. I had a few extra pieces from the Fancy Pants ephemera pack that coordinated with my photos. I added them to various pockets. 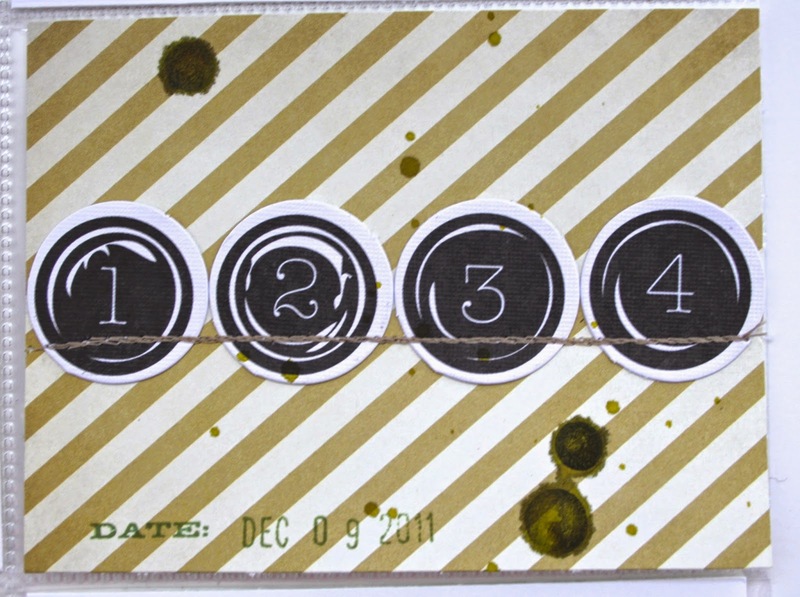 A few drops of Dylusions green ink and machine stitching and my layout was done. Thank you for taking a look at my project and hope to see you all again really soon. what a great life page Mary-Ann! love the photo arrangement and great embellishments! 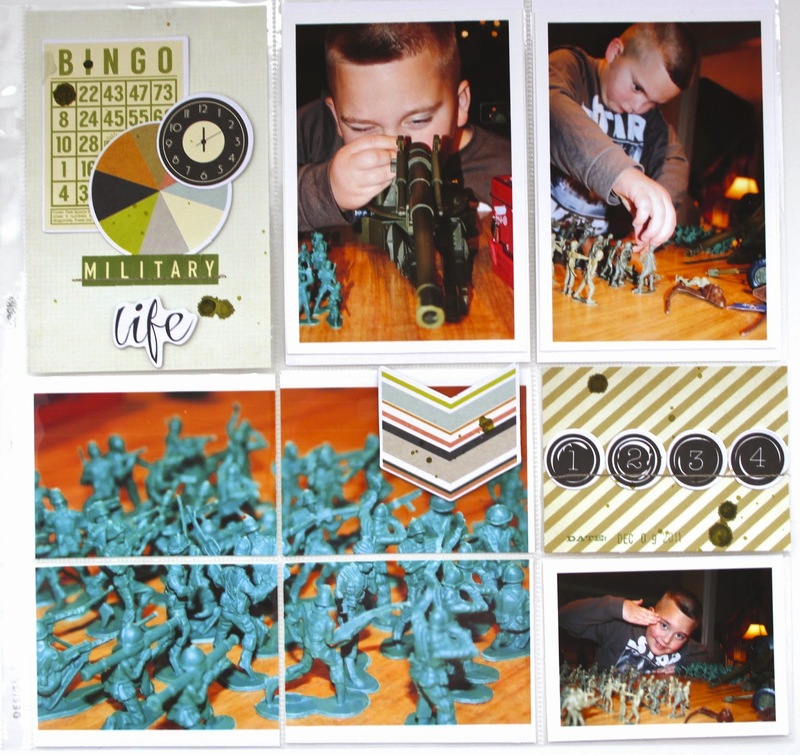 Love the layout and the army men remind me of my son's army men he played with as a child. :) He's all grown up now and in the real Army. I love this visit down memory lane Mary Ann. Superb Project Life page! Great way to keep a life record! The army men photo i my FAV! Love and admire your style Mary Ann, such a great way to record your life right now and how it will feel looking back through the years. Mary-Ann, this is such a great page. I've been wanting to start Project Life but life keeps getting in the way. Wonderful way to document moments and I love how you cut the photo into 4 pieces. LOVE!!! !